Puffers were once a familiar sight on the West Coast of Scotland and the Clyde. But times have changed and nearly all have disappeared. 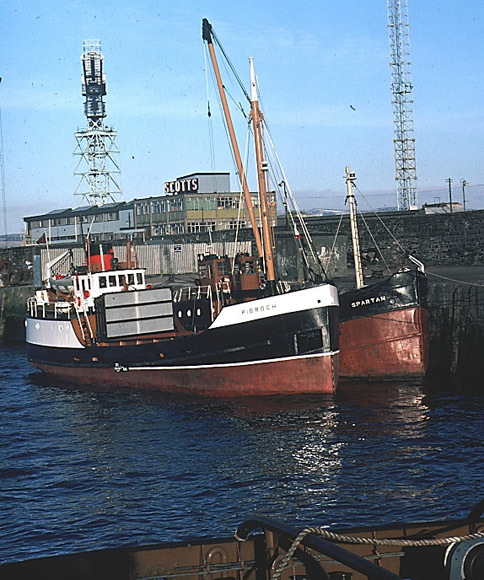 The Pibroch was one of a few puffers which was still afloat, well at least for some years. There was hope that she would sail again one day, but over the years nothing happened to restore her and so she rotted away. There were interests in saving the puffer but it is not known why nothing came out of it so in the end Pibroch was scrapped in 2010. This gallery shows the sad end of the Pibroch.